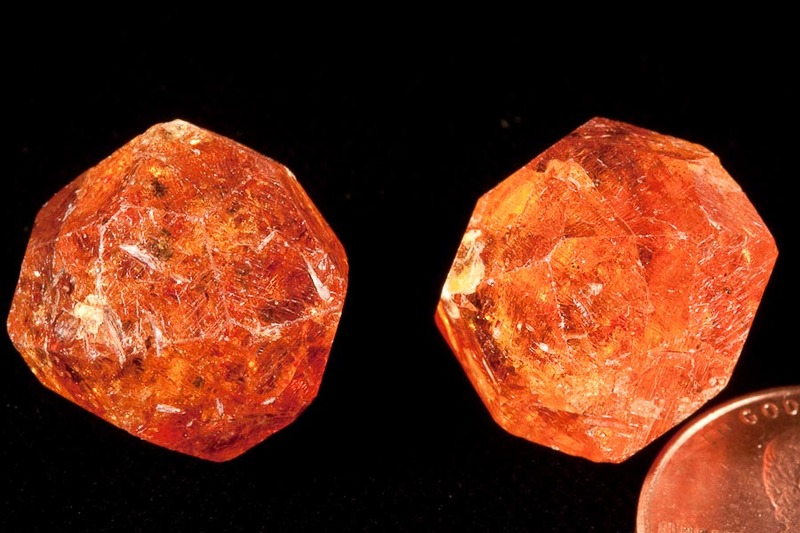 Comment: A SUPER 2-piece deal of top gem examples of spessartine garnets from a MAJOR recent find! The full locality information for this deposit is near the town of Loliondo, close to Serengeti National Park and 7 km from the Kenyan border, W-NW of the north end of Lake Natron. It is closed to heavy traffic and on Maasai tribal lands. Some of these are extremely large, but they typically get less transparent as the size gets larger. These had quietly been emerging from a small prospect in remote Tanzania and hoarded for sale at the Tucson show. Rob was tipped off by a gem dealer who was buying the clearest (smaller) ones up for cutting and faceting (such as this one). 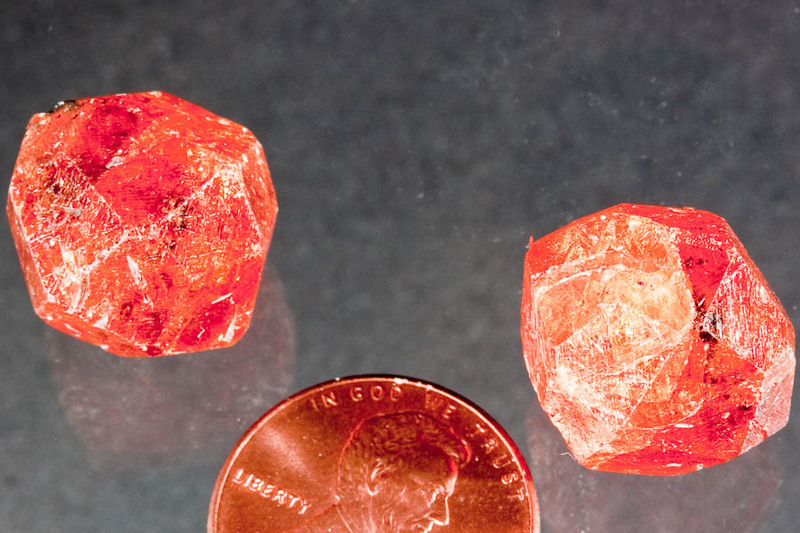 The crystals light up a pretty orangey-red color, similar to a Chinese scheelite, under good light. The crystals weigh 7 grams each or 14 grams total.